Bathrooms get their fair share of wear-and-tear. After all, besides the kitchen, they are probably the most frequented room in the house. Most people start and end their days in the bathroom. Because we spend so much time in the bathroom, we should love — or at the very least tolerate — our bathroom’s appearance. But it’s hard to enjoy spending time in an outdated and unsafe bathroom. Outdated bathrooms are not only ugly to look at, but if your bathroom pipes and hardware are leaky, an outdated bathroom can also cost you a decent chunk of change via wasted water. Not sure if it’s time for a bathroom makeover? Here are some signs that your bathroom is in need of some TLC. 1) The bathroom always looks dark and gloomy. Most of us get ready for the day in the bathroom. We shave, put on makeup, and do our hair in the bathroom mirror. But if your bathroom is poorly lit, it can be difficult to look your best. A bathroom makeover can be as simple as changing out the bulbs, but if you really want to brighten up your bathroom and give it a modernized, upgraded look, you can invest in a new light fixture. Recessed lighting is the perfect way to brighten up your bathroom while simultaneously making the area look larger. 2) The faucets are always leaking. One major way to tell that you’re ready for a bathroom makeover is if you have leaky faucets. Not only are leaky faucets a nuisance but each drop adds up to gallons of water wasted each month, and no one needs an unnecessarily high water bill. You could have a plumber come out and replace any missing or damaged parts, or you could just pull the trigger and buy new, stylish faucets instead. 3) Your bathroom looks like it’s from the 50s. There’s nothing inherently wrong with having an outdated bathroom. 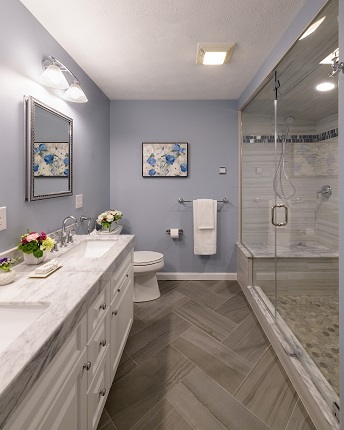 After all, “if it ain’t broke, why fix it?” But if you plan on selling your home anytime soon, you might benefit from a bathroom makeover. Bathrooms can often be selling points in your home, and buyers tend to like clean and modern looking facilities. 4) The bathroom lacks functionality. Another sign that your bathroom may require a makeover is lack of functionality. Do you not have enough storage space? Is the bathroom’s layout totally whack? If so, it may be time for a bathroom makeover. Bathroom functionality is especially important if you have elderly individuals living in your home. Things like a seat in the shower, a walk-in bathtub, and grab handles are especially useful when sharing your home with older people. 5) The tiles in your shower look disgusting. Tiled showers and tiled tub backsplashes add visual effect to your bathroom. Unfortunately, they are a pain to clean. With time, the grout in between bathroom tiles can become moldy, stained, and unsightly, especially if the bathroom lacks proper ventilation. If the grout in between your shower’s tiles are filthy and even bleach can’t help, it might be time to consider a bathroom makeover. Not only is mold ugly but it can be a health hazard if inhaled, so it’s best to tend to that sooner than later. 6) There’s mold growing on the ceiling. Speaking of mold, exposure to mold and mold spores can cause a fair amount of health complications including throat irritation, eye irritation, coughing, wheezing, and even skin irritation. Mold tends to form in warm and humid areas, and bathrooms tend to be warm and humid, especially if they lack proper ventilation. Installing a vent fan or a window might be necessary if you find that you’re constantly dealing with mold growth in and around your bathroom. 7) The bathroom is too small or lacks storage space. A tiny bathroom can be annoying, especially if you’re sharing a bathroom with several other people. And what’s worse than a small bathroom? A small bathroom with little to no storage space. Lack of storage space in the bathroom means that your countertops and other areas will be cluttered, and clutter leads to stress and disorganization. 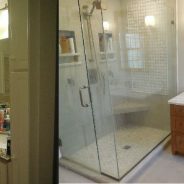 If you find yourself always trying to wriggle around your friend or significant other while in the bathroom, or if your countertops are always covered with things you don’t use on a regular basis, it might be time for a bathroom makeover. Are you in need of a bathroom makeover? If so, give G.M Roth Design Remodeling a call at (603) 880- 3761 or fill out our form for a complimentary design consultation. It’s every homeowner’s dream to create a comfortable and chic outdoor living space. Many people across the country are taking an interest in improving the area beyond their patio doors, transforming them into a haven of fun and recreation. From elaborately designed pools and gazebos to plush furniture and the latest misting system, more and more families are taking landscape design and outdoor comfort to the next level. If you’re yet to turn your outdoor living space into an oasis of calm and the perfect hangout place, here are a few tips that might help make your dream a reality. Designing your dream outdoor living area can get pretty expensive. To keep yourself from feeling guilty of the overhaul, you need to set a range of how much you can and are willing to spend. Setting a budget will prevent significant overspending on your part and eliminate the risk of having to halt the project due to funding issues. When planning your renovation expenses, take into account important factors such as the size of the space, key furniture pieces, and even the knick-knacks you wish to add to it. Pick a style and work from there. Whether you prefer a casual, laid-back look, got a penchant for the contemporary vibe, or have your heart set on a more fairy-tale like ambiance, having a specific theme in mind will help planning and designing the space so much easier. When coming up with style ideas, think of something that will tie everything together. The existing design of your home should complement that of your outdoor living space to make the transition more natural and pleasing to the senses. Do you want to turn your gazebo into a comfortable retreat without breaking too much sweat? Just add furniture. With a set of plush seats, a couple of bean bags, and a coffee table or two, your backyard can become your new favorite spot for morning coffee and afternoon tea. Throw in some cushy pillows and fuzzy carpets to the mix, and you may not want to go inside anymore! The air can get chilly at night or become too humid during the hot summer months. To ensure optimum comfort no matter the day of the year, why not invest in outdoor heaters and coolers? Outdoor fireplaces and infrared electric heaters can keep you warm during cold evenings. Conversely, misting systems can cool things up on hotter days and may even double as a plant watering system for a lusher and greener garden. There will always be days when you just want to be on your own. You may want to read a book without being disturbed or take some time alone to think. Whatever the reason may be, you can benefit from making your outdoor living space as quiet and tranquil as possible. Creating a private outdoor area is not so hard. You can make use of tall landscaping plants or surround your lawn with fencing to keep much of the noise out. Something as simple as this will help you turn the space into an escape from the rest of the outside world. 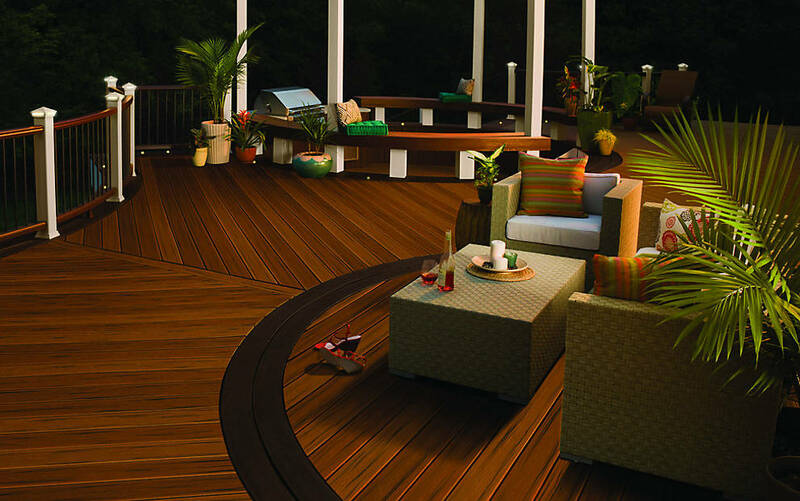 To create the perfect outdoor living space for you and your loved ones, you have to know what your ultimate goals are. The thing is, even with clear objectives in mind, your ideas may be too much for an amateur to implement. 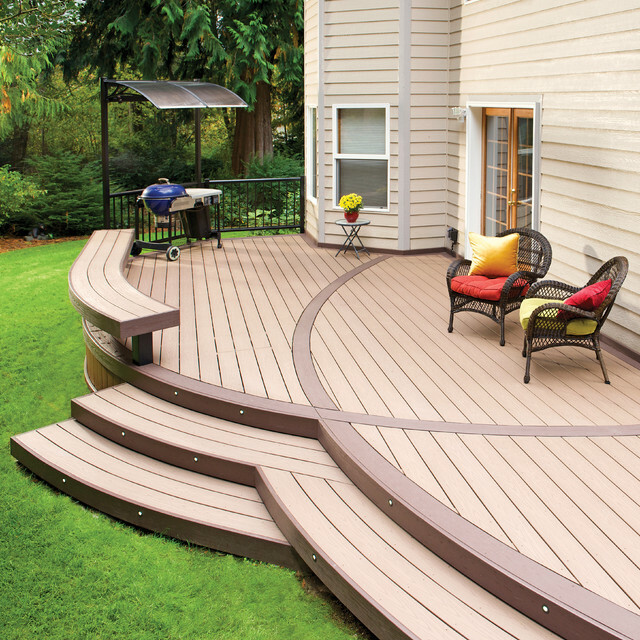 If you’re having trouble turning your patio dreams to reality, consult design/build experts G.M. Roth Design Remodeling . 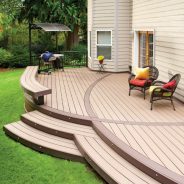 Our staff of seasoned professionals in home remodeling interior and exterior can help make your vision of the ideal outdoor space come to life. Although it really shouldn’t be, the lighting component of a renovation is sometimes overlooked in favour of other aspects. To overlook the lighting as a major part of your renovation is to do a potential injustice to the overall look and feel of the property. You can consider lighting one of the most important components of interior design, in fact; the impact that quality, well-positioned lighting can have on the look and feel of an entire room is quite impressive. Lighting affects every detail of the room, from the various colours and shades in your fixtures and fittings to the perception of size and space available. Proper lighting also makes it much easier to perform the tasks that the room was designed for in the first place. Nobody wants to cut themselves shaving due to improper illumination, or heading out with lipstick on their teeth! For each room, step inside and try to imagine how it might look its best. For example, if it is currently shadowy and dimly lit, it won’t have a very appealing atmosphere. Correctly placed lighting will transform the entire look of the room. Also consider the assets of each room and how you can best accentuate them. Which details should be standing out as attractive features? If there are any aesthetically pleasing fixtures such as a beautiful fireplace or a marble kitchen countertop, you will want to highlight these with what is known as ‘accent lighting’. Accent lighting is very important as it maximizes the impact of the décor and draws the onlookers’ attention to the aesthetically pleasing aspects in a room, such as pieces of artwork, ornaments, plants, or even architectural aspects. A ‘one size fits all’ approach according to the type of room you’re renovating will limit the potential for each room. Smart renovators will pay the necessary attention to the lighting requirements of each room based on its characteristics; for example, requirements will vary according to how much natural light gets in, the size and shape of the room, and the fixtures and fittings within it. Not everybody has a bottomless supply of cash for the renovation, so it might be necessary to prioritise your lighting requirements. When setting your budget in the first place, don’t leave the lighting as an afterthought. If you can’t stretch to every room, or you can’t install the various layers of lighting needed to optimise the appearance of each, aim to properly illuminate the foyer, lounge, kitchen, and bathroom before anything else. The more features you can accentuate, the better. There is lighting a room sufficiently, and then there is overdoing it. There is no need to install beaming spotlights in every room; although it will be brightly lit, you will lose any ambience the room would have benefited from. Choosing a mixture of different lighting sources according to the room’s features is paramount. This is known as ‘blending’, and it can literally transform a room. Atmosphere is everything, so be sure to avoid blanket brightness. The more natural light the property lets in, the better. A room can look fantastic with sunbeams falling across gleaming wooden floors, but the moment the sun goes down, your room will be relying on artificial lighting to look and feel its best. Sometimes the natural light alone doesn’t show the rooms best qualities anyway. It is possible to complement the natural light coming in with floor lamps or desk lamps; this gives the impression of greater dimension. 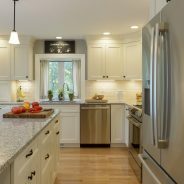 A bright kitchen will inspire motivation for the tasks that happen within it, for one thing; it will also make sure that the tasks can be carried out effectively. Straining to see what stage the food is at in a pan can be quite annoying, and the same goes for examining dishes after washing up. ‘Task lighting’ is the type of lighting that aids efficient task completion, and it refers to bright lighting positioned so that it shines on the areas you’ll be carrying out your activities in. Dimmer switches on your light fittings are a great idea too, as they allow you to shift the ambience of a room in a couple of seconds. 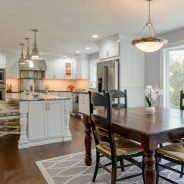 Once you’ve cooked a meal with the help of the task lighting, you might want to turn the lighting down a little in order to better enjoy the meal. Similarly, you might want to be able to turn lighting down to relax in a bath, but have it as bright as possible while performing activities. Bathroom and dressing room mirrors also require task lighting. Casting unforgiving shadows on different areas of the face not only makes people feel less attractive; it also makes it much harder to see what you’re doing in the mirror. One way to remedy this issue is to place lights evenly around the mirror, rather than just one light shining down from above it. General lighting is also known as ‘ambience lighting’ and it refers to the kind of light that fills any given space. It is not specific in what it illuminates; that is the job of accent lighting and task lighting. General lighting is probably the most important type of light, as without it, the accent and task lighting won’t work as well. General lighting doesn’t need to be so bright that your rooms are lit up like a football stadium; harsh fluorescent lights will certainly fill the space, but they are likely to destroy any chance of ambience in the room. Your lounge, bedrooms and dining rooms will all require sufficient, non-harsh general lighting. It is probably now much more obvious that a successful renovation relies heavily on the quality of the lighting within the property. Those renovating in order to sell the property should be paying even more attention to the interior lighting. After all, potential buyers could be very turned off by dark and uninviting rooms, and if they have to work hard to see what the rooms have got going for them, they will probably be moving swiftly onwards. Well-lit rooms make it much easier for buyers to envisage a happy life in the property, so paying proper attention to the lighting could even result in a quicker or more profitable sale! As temperatures drop and snow begins to fall, wildlife is on the lookout for food and shelter. While trees and brush protect pests like squirrels, rats, and raccoons for most of the year, these animals frequently seek out warmer locations for the winter. As a result, the chances you’ll discover them holing up in the garage, attic, or shed increase dramatically during cold weather. Because squirrels are excellent climbers, they often scale trees to get to the roof. From here, they can reach soffits and fascia, two important but easily damaged parts of a home. Soffits, the areas underneath overhangs, typically contain venting for the roof and attic. Gutters are frequently mounted onto fascia, the exposed siding on the front of an overhang. Once they enter through holes in soffits or fascia, pests can quickly spread to other places, like wall voids and attics. Animals moving around indoors create scratching and scurrying noises that unsettle homeowners. During a remodeling job, be sure to repair or replace any damaged soffits and fascia to prevent pest issues. Providing warmth and protection, chimneys are a popular nesting site for wildlife in the winter. Animals like raccoons and bats often gain access from the roof, where uncapped chimneys welcome them indoors. Since some pests carry diseases that can infect humans and pets, animals that fall or climb down chimneys into homes present a safety concern. A raccoon or bat may also become trapped and die in a chimney, requiring professional removal to avoid insect and odor problems. When doing roof or chimney work, remember to install a functioning cap to deter wildlife. Vents on your roof and the sides of your house are great for circulating air and managing moisture. Unfortunately, improperly installed fixtures may let in animals. Bats, rats, birds, and even raccoons can get in via these openings. Droppings that build up in ducts can create foul smells and health risks. Bird nests in dryer vents may present a fire hazard as well. Screening your vents keeps them functional and off-limits to pests. In the winter, weather stripping around windows and doors stops cold air from leaking into your home. However, rats and mice can gnaw through old rubber, vinyl, and foam strips to squeeze inside. Inspecting and replacing worn weather stripping is essential to keep you warm and repel nuisance wildlife. Any area with pipes that lead to exterior walls may become an entrance for pests. Poor caulking around pipes provides holes small animals can easily chew through to access wall voids and attics. If you’re doing a remodeling project, pay close attention to where pipes exit the house and carefully fill any gaps. Most of these top five home entry points require you to screen or cap openings. However, it’s important not to seal pests indoors when remodeling. Trapped animals may try to exit through living spaces, putting residents in a dangerous situation. Only cover cracks or gaps when you are sure there are no pests inside. For the best results, consult wildlife professionals like the experts at Critter Control. Trained technicians will work to remove all animals and prevent them from returning. Because the large majority of homes in our area were built when the quantity of rooms was considered a premium when putting a home on the market, many of them ended up with a lot of small, closed off rooms. Lots of clients come to G.M. Roth assuming they should convert their home to an open concept design as part of their home remodeling project. 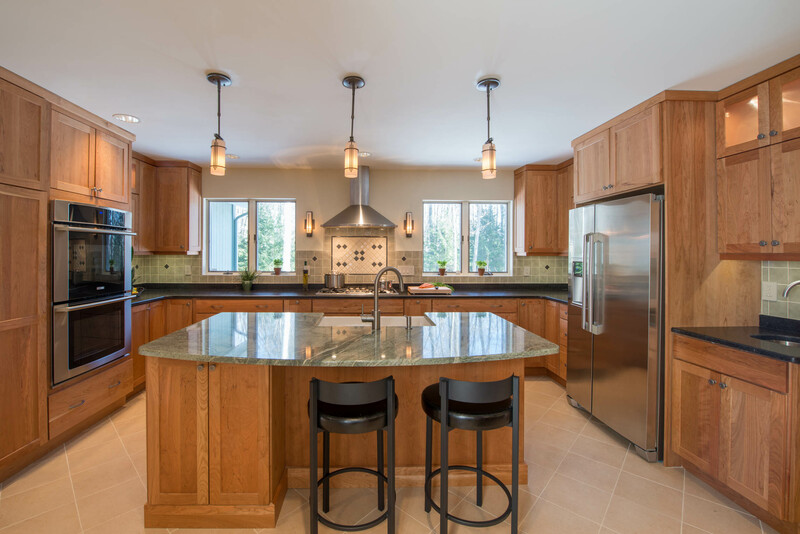 As experienced design-build company remodeling professionals, we don’t think open concept is for every family or every house, we see many benefits for some situations, but also drawbacks in others. 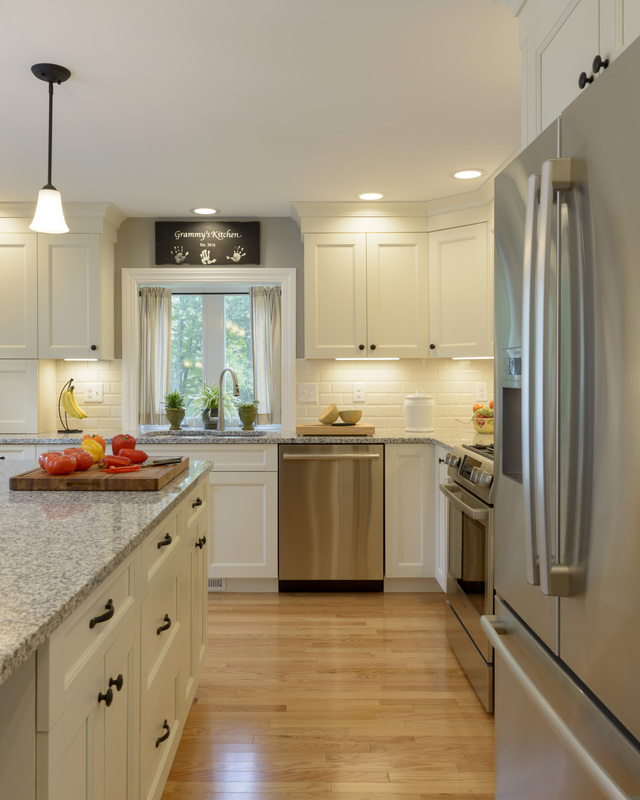 Here are some of the reasons you might want to consider home remodeling to an open concept design, and others why it might not be the right solution for your family.